As the world changes and the focus becomes more on being environmentally conscience, South Bay Ford Commercial is proud to work alongside industry leaders in alternative fuel and conversions to provide our clients with an incentivized, cost-effective solution. 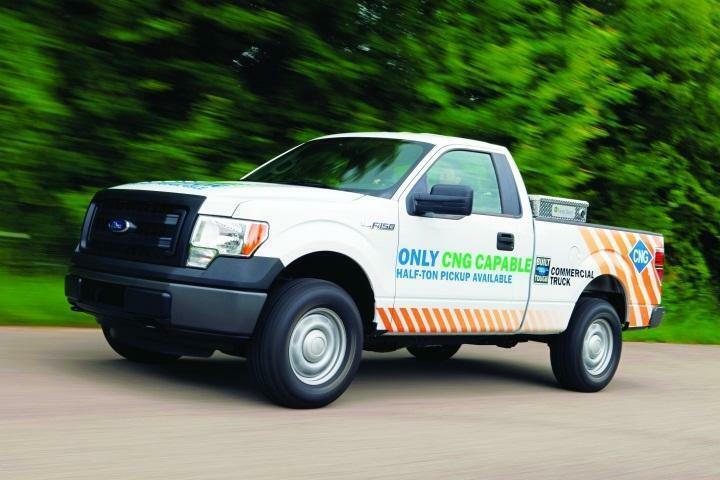 One such solution for businesses that use a fleet of Ford Work Trucks is to convert each truck to a Compressed Natural Gas (CNG) Fuel System. Compressed Natural Gas (CNG) is a clean-air substitute for gasoline or diesel, which is safer than other sources, is lighter than air and disperses quickly when released. This alternative fuel conversion can also save your business money thanks to being less expensive than gasoline or diesel. With an octane rating of 130, CNG also has the potential to optimize your engine’s thermodynamic efficiency by utilizing a higher compression ratio. Businesses that use alternative fuels - like CNG - also exude fewer pollutants, diminish their greenhouse emissions and stay on the road longer than gasoline trucks. 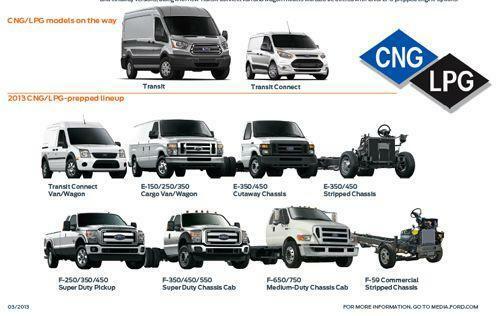 Due to these and many other benefits the demand for CNG-prepped commercial vehicles, like the Ford F-150, Transit Connect/Transit Vans and E-Series cutaways has skyrocketed over the nine years. In fact, Ford has sold more than 57,000 vehicles prepped to run on clean, low-cost compressed natural gas and propane – seven times more than all other major U.S. automakers combined – since 2009. While there are some things that the mechanics at your shop may be able to do to keep your Ford fleet operating at its peak efficiency, converting all your work trucks to one of the most popular alternative fuels should be left to the trained professionals here at South Bay Ford. The aftermarket conversion process is not an easy one and takes experienced professionals and high-quality conversion products such as BAF Technologies or BAYTECH engine systems that are CARB and EPA certified. Each installed upfit kit should be certified by C.A.R.B. to ensure its compliance for emissions, warranty, and durability. Although there are those who recommend certain conversion kits, these components need to be high quality, reliable and safe. To assure that conversion products such as the Ford E-450 6.8L CNG Fuel System, which successfully completed the comprehensive 7 Year/200,000 miles Altoona Life Cycle Test with zero failures to the CNG Fuel System and related components, are safe and hard-working you need a professional who specializes in the CNG and other alternative fuel conversion processes. Through a full spectrum of complete customer support, South Bay Ford Commercial is here to help you identify and accomplish your business fleet’s green objectives. This is attained through a series of rigorous guidelines that meet Federal and Ford Motor Company requirements. Since each commercial application is truly unique, as a Commercial Vehicle Center, dealer we work closely with our upfitting partners in an effort to reach the greatest outcome for your enterprise. Get to your leading Hawthorne, CA commercial Ford dealer today to let us help your business today.